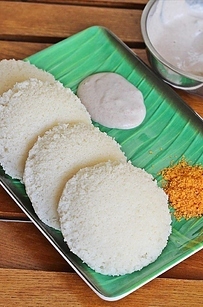 Attention foodies, check this out! 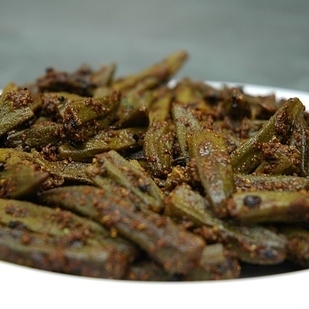 What It Is: Anchovies dipped in a paste of turmeric and red chilies and fried, native to the South Indian region Chettinad. 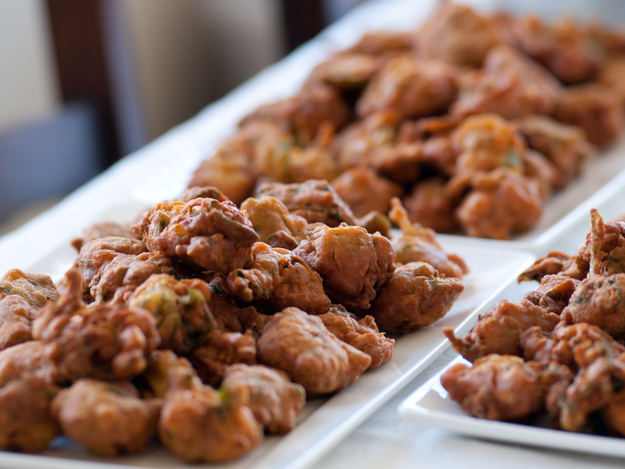 Perfect For: A crispy, spicy appetizer. 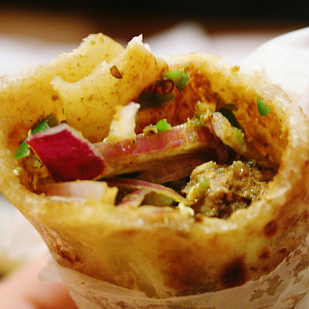 What It Is: A small crisp hollow round bread filled with spiced water, tamarind paste, potato, onion, and chickpeas. Perfect For: When you’re craving a thousand flavors at once. Feels Like: Drunkenly challenging your best friend to a contest of who can eat more of these, and then feeling like your mouth is on fire. 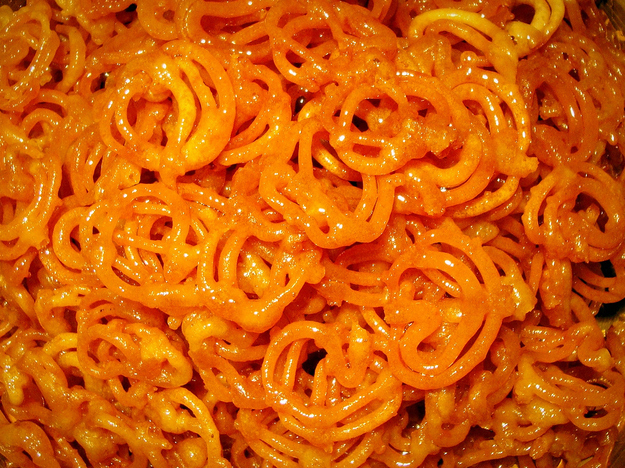 What It Is: A wheat flour batter deep fried in coil-shapes and soaked in sugar syrup, served hot. Perfect For: When you want something hot, but also sweet. Feels Like: People-watching in a crowded bazaar while your mother haggles over sari prices. 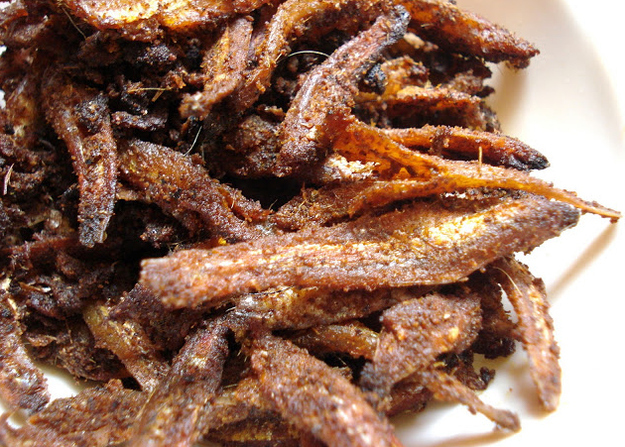 What It Is: Thin slices of banana deep fried in savory spices. Perfect For: Munching on while watching your favorite movie. Feels Like: The wind flying through your hair as you sail down Kerala’s backwaters in a houseboat. 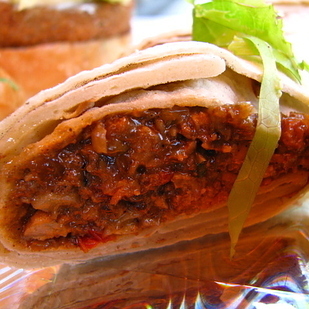 What It Is: Roasted eggplant mashed together with a variety of other vegetables and spices, served with flatbread. 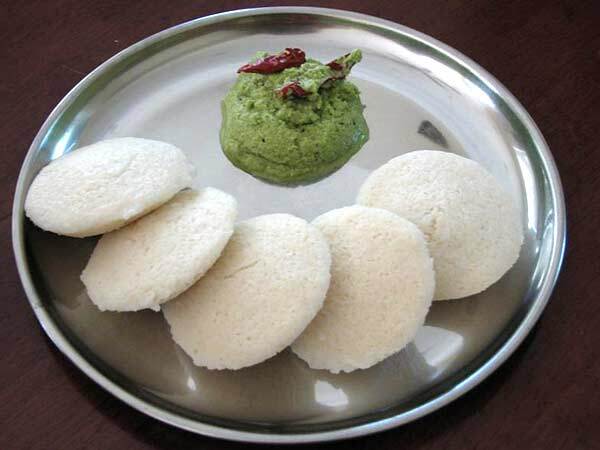 Perfect For: An exciting and fancy vegetarian meal. Feels Like: Going back for seconds at a family friend’s house. 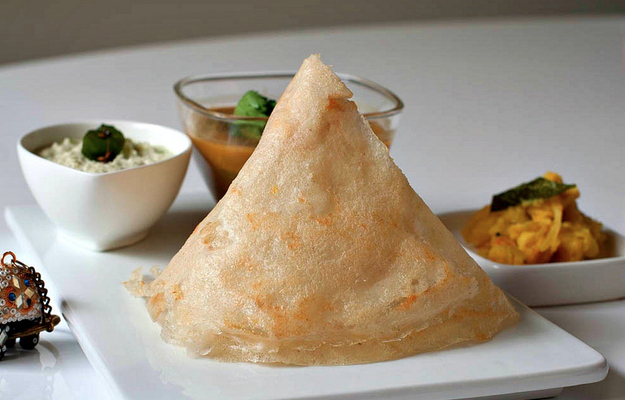 What It Is: A crispy, flat bread (similar to a crepe or pancake) made of rice batter, served with a lentil sauce (sambar) and a variety of chutneys. Perfect For: When you want breakfast to be the highlight of your day. Feels Like: Recounting last night’s events the morning after a sleepover. 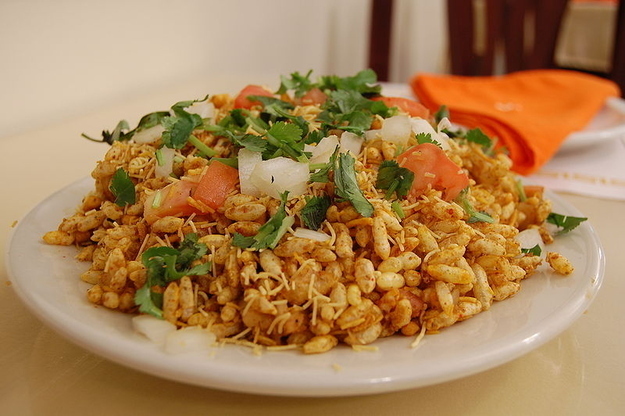 What It Is: Puffed rice fried with vegetables, in a spicy and tangy tamarind sauce. 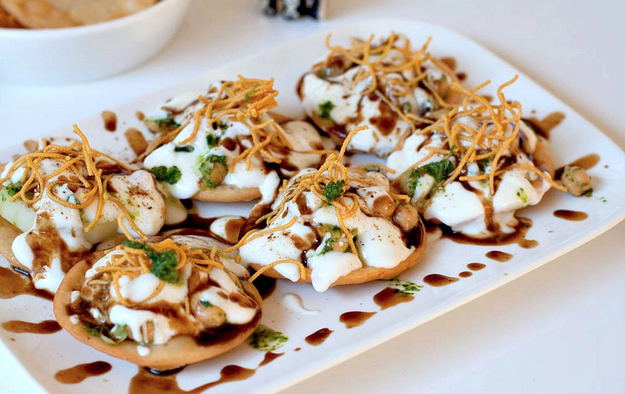 Perfect For: When you want a chilled savory snack. 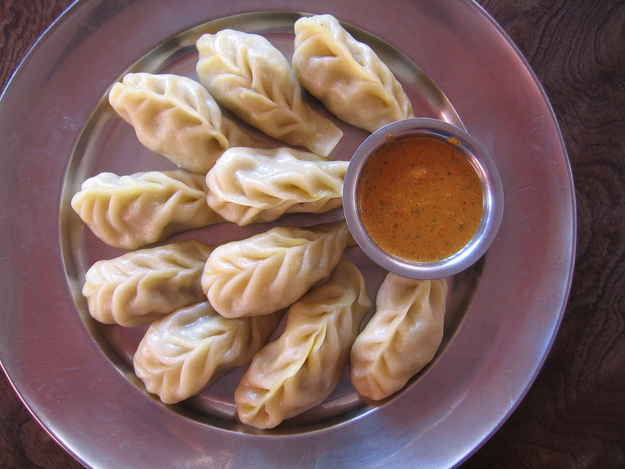 Feels Like: Sitting in the back of a rickshaw at the peak of summer, thankful for the breeze. 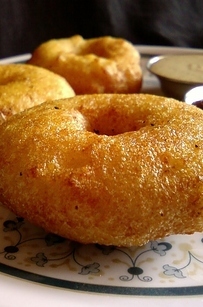 What It Is: A South Indian snack staple made of a lentil or flour batter fried into a doughnut shape. 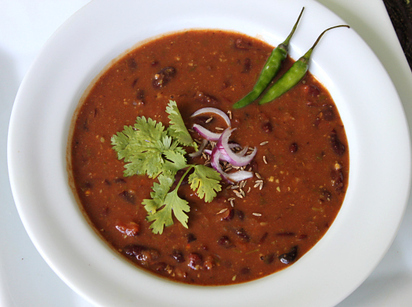 Perfect For: A neutral carb to accompany your craving for chutney and lentils. Feels Like: A morning raga. 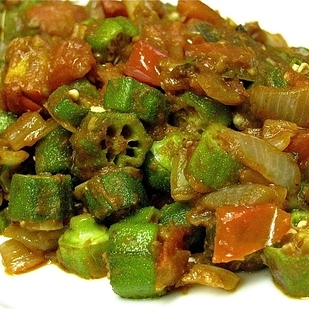 What It Is: Okra stuffed with spices, fried. 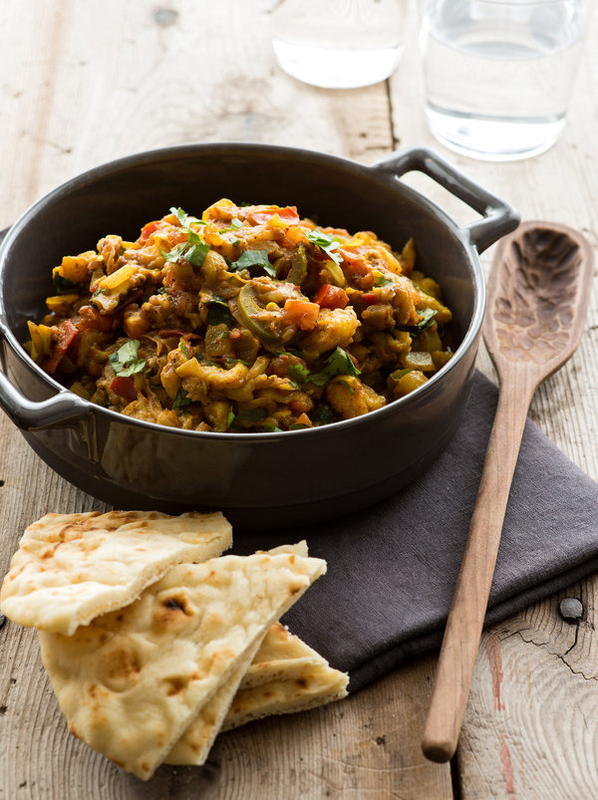 Perfect For: A vegetarian dish that’s both exciting and comfort food. 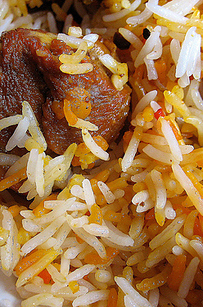 What It Is: A lamb curry of Persian origin, now popular in the Kashmir area. 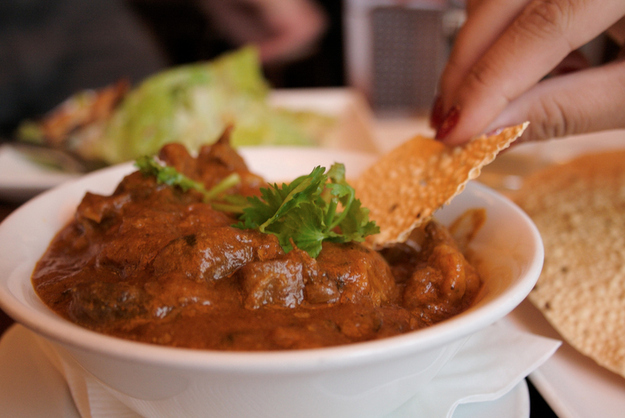 In India, rogan josh is often made using goat meat instead of lamb. Perfect For: When you don’t just want a meal – you want a feast. 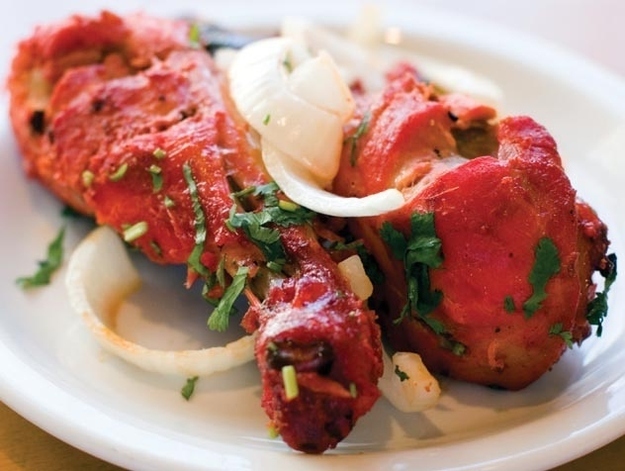 Feels Like: Strutting around in your nicest traditional finery and feeling like royalty. 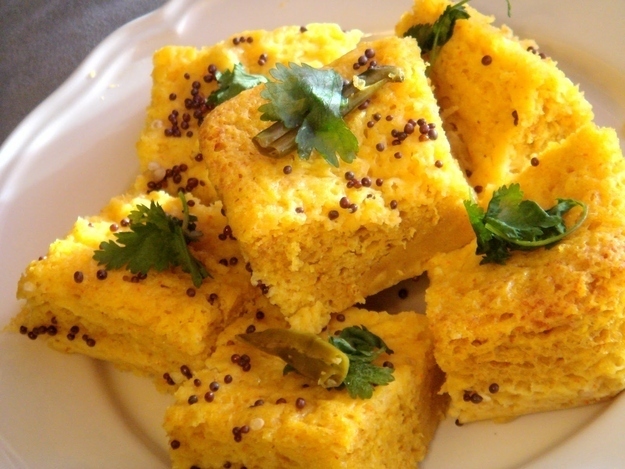 What It Is: A snack/breakfast food from the state of Gujurat, made of fermented rice and chickpea batter. 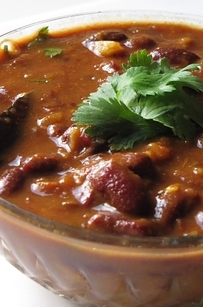 Perfect For: An very, very light yet very, very flavorful snack. Feels Like: Gossiping with your aunts and cousins for hours. 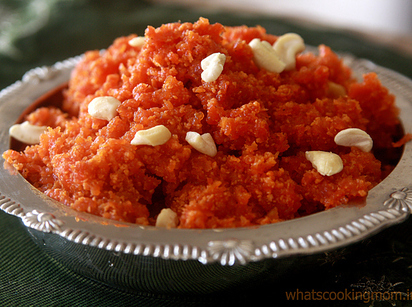 What It Is: An extremely popular dessert, made by cooking grated carrot with milk, sugar, and dried fruits. 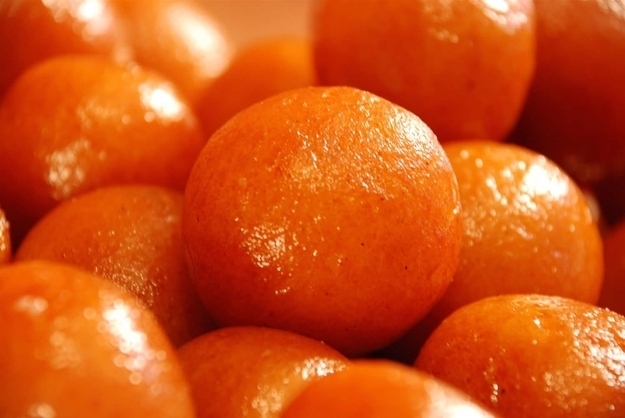 Perfect For: A piping hot wintertime dessert. Feels Like: Wrapping a shawl around yourself and sitting by a heater on a chilly Delhi evening. 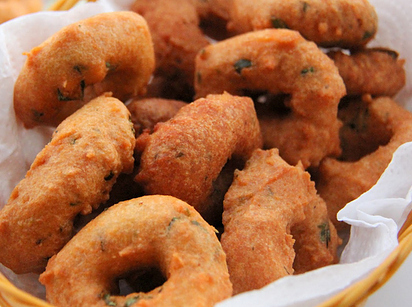 What It Is: A fritter native to the Indian state Uttar Pradesh – one or more basic ingredients (onion, eggplant, potato, cauliflower, and chili peppers are all options) are dipped in gram flour and deep fried. 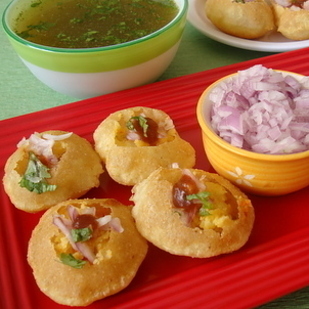 Feels Like: Sitting by a window during a monsoon afternoon, bonding with your family over hot chai. 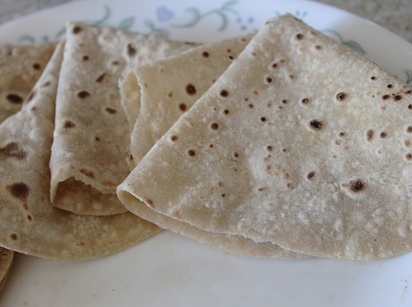 What It Is: The word “rumal” is Hindi for handkerchief, and this bread resembles one; it is large, as thin as cloth, and served folded like a napkin. Perfect For: When you need bread but want something lighter than naan. 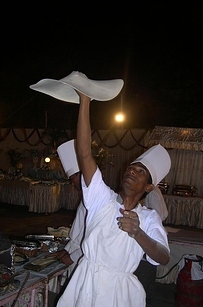 Feels Like: Watching with child-like awe as a chef tosses the dough up in the air and spins it in circles. 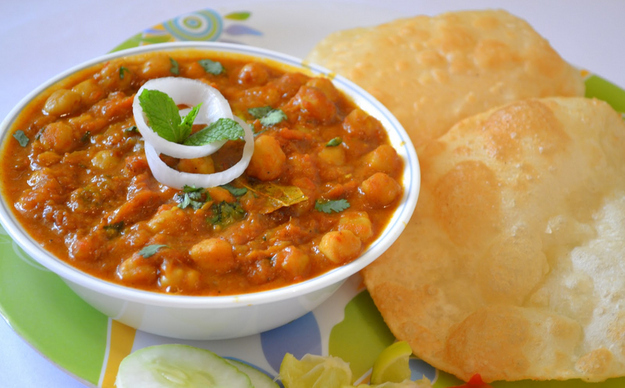 What It Is: Crispy, fried dough wafers served with boiled potatoes, boiled chick peas, chilis, yogurt, tamarind chutney, and several spices. Perfect For: A healthy and multi-flavored snack. Feels Like: Rewatching an old Bollywood movie with your mom, for the eighth time. 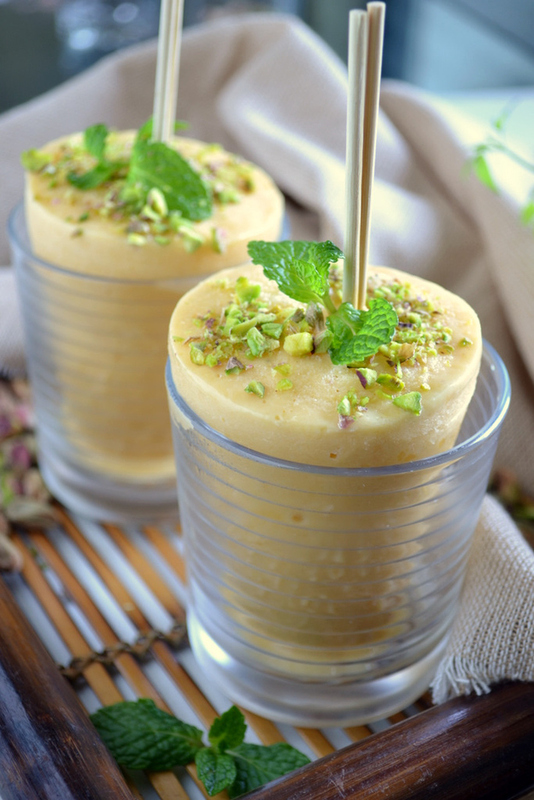 What It Is: An iced preparation made from thickened milk, almonds and pistachios. 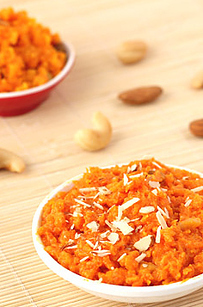 Perfect For: When you’re craving ice-cream but with an Indian touch. Feels Like: A street fair. 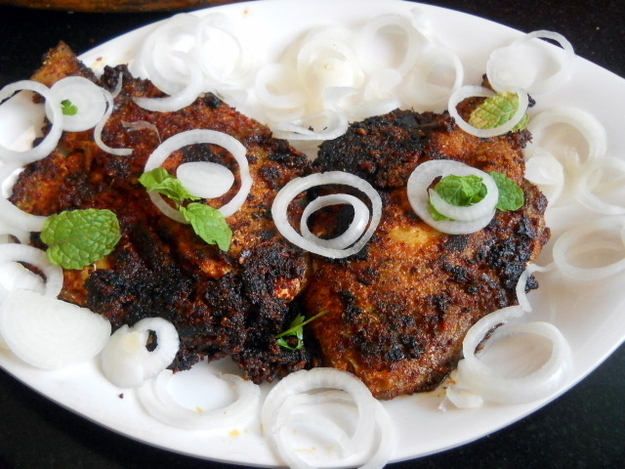 What It Is: A spicy paste made of chilies, tamarind, and garlic (amongst other spices) is rubbed onto whole fish which are then fried. 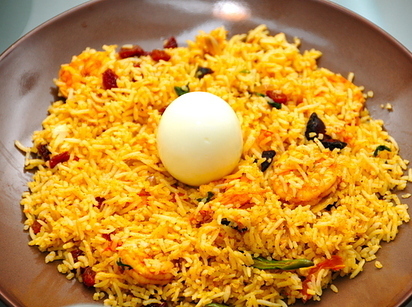 Perfect For: Satisfying your seafood craving and spice craving all at once. Feels Like: Sitting on a beach in Goa, watching the waves roll in. 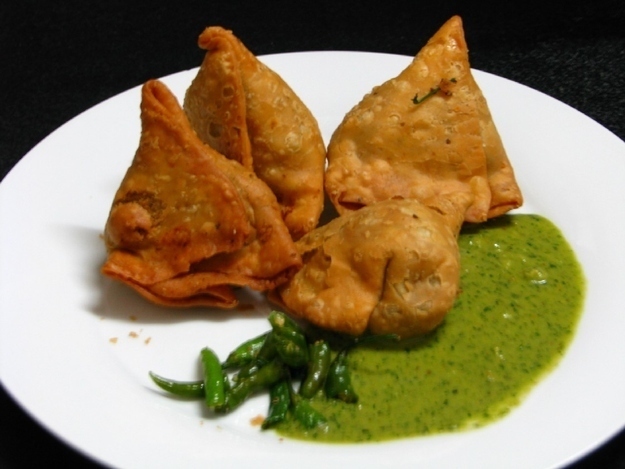 What It Is: A fried or baked triangular snackfood made of a potato stuffing, usually also containing onions and peas, served with a mint chutney. Perfect For: Literally anytime, anywhere.